Derbyshire teenagers Will Davis and Rob Hemmings have both signed contracts for the 2016 season. 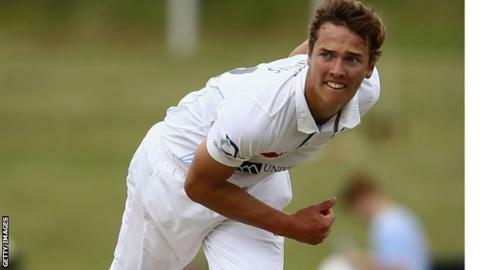 England Under-19 fast bowler Davis, 19, made his made his county debut in the tour game against Australia in July, taking 3-63 in the first innings. All-rounder Hemmings, also 19, has been a regular in the Second XI. Elite performance director Graeme Welch said: "Will and Rob are promising young lads who have both impressed when they've been around the first team." Who will start for England at Euros? Read more on Euro 2016: Who will make England's starting XI in France?